It is beginning to look like spring at Linsly! As we return from our spring break at Linsly, it is exciting to reflect on all that has been accomplished so far this academic year. Linsly opened its doors to the 2018-2019 school year with a record enrollment of 467 students from seven states and twenty different countries. Linsly Headmaster Justin Zimmerman announced the new school theme for the year, “Do What is Right. Not What is Easy.” at the opening of school meeting. Each year the school theme focuses on a different character trait for students and teachers to focus on throughout the remainder of the year. The successful opening of school coincides with the completion of major renovations to Banes Hall this summer, which is the result of an anonymous donation and an estate gift. All renovations focused on enhancing the student learning experience. Renovations included a new drop ceiling with high efficiency LED lights, new magnetic whiteboards and SMART Boards, a fresh coat of paint, new furniture, and new carpeting in every classroom. Every classroom now has new furniture, which will be comfortable, mobile, and perfect for collaboration, group work, and engaged instruction. Linsly has created a model environment for both teaching and learning, and one that matches the needs of our students and teachers. In addition to the excitement of the renovations to Banes Hall, students and teachers have been working hard in both the classrooms and the athletic fields. In the Admissions Office, we have been working with all of our new families to ensure their transition to Linsly is as smooth as possible. As we prepare for all that spring brings to campus, including spring athletics, the Linsly Declamation Poetry contest, and the excitement of graduation, the Linsly Admissions Office continues to welcome new families to campus and help them finalize the Admissions process. We look forward to meeting more students and families who are interested in learning more about the many opportunities that Linsly has to offer. With small class sizes, individual attention, college counseling, and excellent academic, fine arts and athletic program, Linsly can help your child unlock his or her potential. If you are interested in learning more about a Linsly education, please contact us about our Spring Visit Days. Please call our Admissions Office at 304-1436 to register for this event. We look forward to meeting your family! 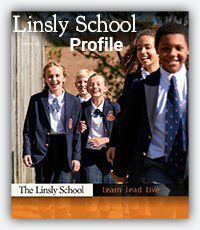 The Linsly School admits students of any race, color, gender, national, and ethnic origin to all the rights, privileges, programs, and activities generally accorded or made available to students at the school. It does not discriminate on the basis of race, color, gender, national, and ethnic origin in administration of its educational policies, admissions policies, scholarship and loan programs, and athletic and other school-administered programs. Mr. Zimmerman presents his Parents' Day speech for those who might have missed it. Mr. Zimmerman talks with Mrs. Maggie Allison, the Dean of the Middle School, about interdisciplinary course content. Headmaster Justin Zimmerman discusses the important idea behind the designation now commonly known as the HPL. Headmaster Justin Zimmerman was recently published in the February 2017 Wheeling News Register Educational Progress Issue. In his article, he offers families suggestions on what qualities to look for when choosing a private school. Listen to his recommendations on choosing a private school. Meet Alec, class of 2014. 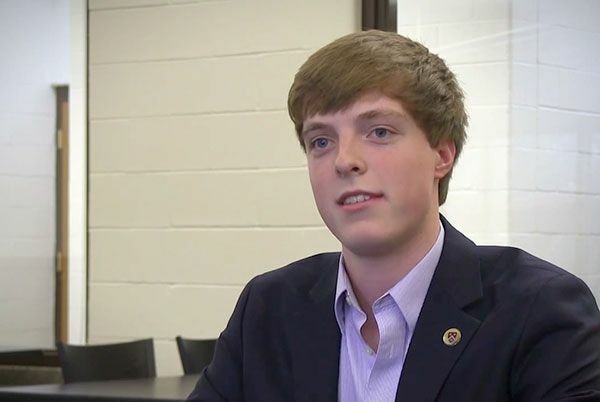 This video was recorded when he was a freshman at Harvard. If you have ever asked yourself, "What things will I always remember about Linsly? ", hear Alec's answer. Meet Kaitlyn, class of 2009. She is a graduate of Wheeling Jesuit University and WVU College of Law. Currently, she practices out of the Flaherty Charleston Office. If you have ever asked the question, "Why Linsly? ", read Kaitlyn's inspiring story. Why Linsly? 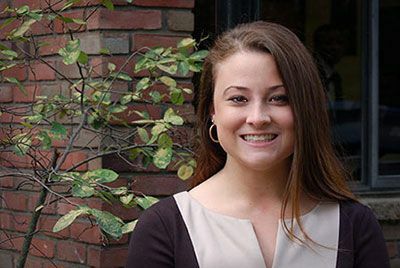 As Kaitlyn explains, "Linsly is more than just a school...When your child comes to Linsly, it's not for four years, five years, or even eight years - it's for a lifetime."